Last year in November, when the Prime Minister demonetised old Rs 500 and Rs 1,000 notes, the RBI took more than a month to calibrate 2 Lakh ATMs to dispense newly-minted Rs 500 and Rs 2,000 notes. Days after image of Rs 200 note surfaced on social media, now it has emerged that the Reserve Bank of India (RBI) is against the circulation of proposed new bank currency through ATMs. According to a report in the Hindustan Times, the central bank wants to circulate the new Rs 200 banknotes only through bank branches. The report quoted a senior bank official who said dispensing new currency notes through ATMs would mean recalibrating India's 220,000 machines, an exercise that will take more than a month. The RBI wants to avoid the recalibration process as it does not want to see the same hectic situation it faced after demonetisation. "The idea is not to disturb the system once again, there has been disruption for more than four weeks between November and December and it is advisable to circulate these notes through the bank branches, though at present these are just proposals," the official said. According to reports, the RBI wants to circulate Rs 200 bank notes only through branch, the way Rs 50 and Rs 10 notes are circulated. Earlier in March, the central bank board had cleared a proposal to introduce Rs 200 notes to minimize the shortage of lower denominations. 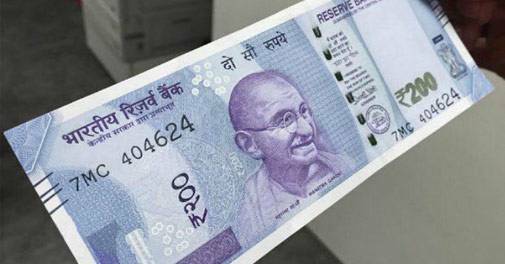 According to a report by India Today, the new note is already in the pipeline and is only awaiting instructions from the central government to go ahead with the printing procedure. "Rs 200 currency note is in the pipeline. But, unless it is notified by the central government, making a dye (block), working on security features and printing process of Rs 200 would not take place. So this time, RBI would implement its plan only after the Centre's notification," a source told India Today.